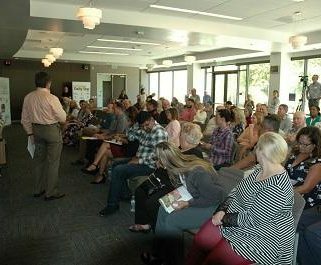 TR Robertson — A mid-day crowd of around 100 citizens of Vista filled the conference room at the Vista Civic Center on Thursday to listen to the candidates for Mayor and the two City Council districts up for election in November. 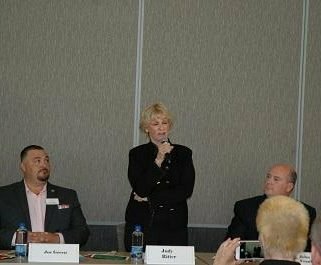 The Candidate Forum was presented by the Vista Chamber of Commerce Government Affairs Committee as their monthly meeting, giving candidates an additional chance to present their positions on issues significant to the City of Vista. 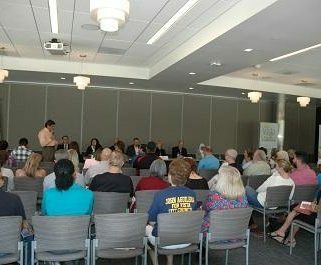 The format for this presentation, led by Government Affairs chairperson Steve Harrington, allowed the candidates to give a short introduction about themselves followed by questions for them to respond to designed by the Vista Chamber of Commerce, then quick Yes-No Paddle selections of statements where candidates could show their personal support of an issue. District 4 – City Council member District 4, John Franklin and Tazheen Nizam. James Stuckrad, also running for City Council member of District 4, was not in attendance. 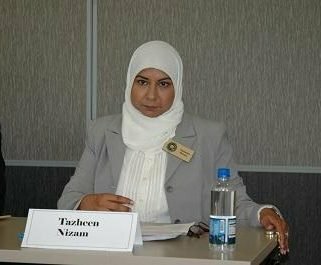 Tazheen Nizam – A business consultant, community advocate, supports community empowerment, believes in smart growth and continuing adding businesses to Vista. 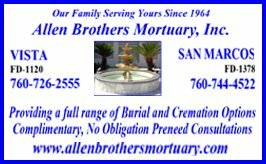 A Community Choice energy proponent. 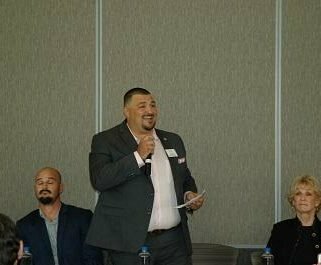 John Aguilera – current Vista City Council member, feels the current 101,000 Vista population has a number of issues they need to be aware of and the council needs to deal with – traffic flow, safety in the community, the continued growth of the downtown area. Feels he has been a strong proponent on the Vista Business Parks and they currently have a 97% filled rate. Helped approve two new skate parks in Vista. 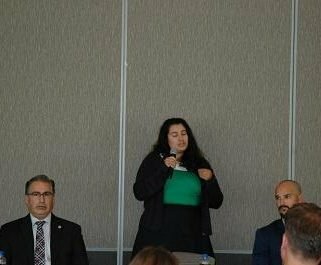 Corinna Contreras – has lived in Vista her whole life, works in the corporate world and has a strong desire for the continued economic growth of Vista. Feels the council needs to address the differences in the Districts in Vista, bringing equality to each one. Indicated the need for continued use and expansion of a public transit system in Vista. 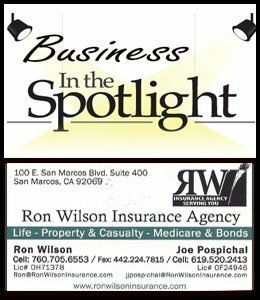 Dominic D’Agostini – feels he has a strong feel for the business community, especially working with small businesses in the construction field. Feels developers coming to Vista should be held to investing back into Vista in a variety of ways. Feels the infra-structure of the Vista is a crucial element that needs to be strengthened and expanded. Joe Green – current Vista City Council member, grew up in Vista, works in Vista, children go to school in Vista. Feels we need to continue building a strong sense of community. Feels his involvement in the city shows his desire to make Vista a centerpiece of North County. 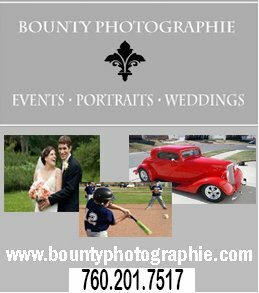 Wants to continue supporting open communication and allowing citizens a chance to voice their opinions on issues important to the city. Judy Ritter – current Mayor of the City of Vista. Wants to continue to make Vista a Destination City, a place people want to come to for work, play, restaurants and business. 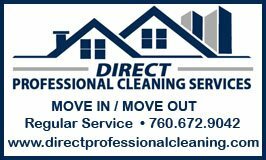 Continue building places of employment and available jobs. 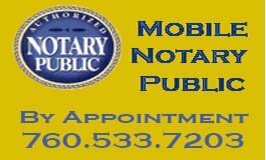 She has extensive business experience in a multitude of fields. Major accomplishments for the city include the different Phases the city is currently going through adding parking, parks, roadways, lighting, safety projects and more. Feels the progress of the city shows her leadership. 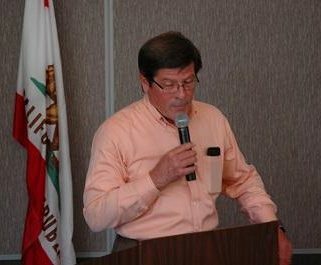 John Franklin – current Vista City Council member. He feels his leadership in the last 4 years on council shows his concern for the economic growth of the city with the new businesses and restaurants that have opened. He feels the city still has a number of major concerns it needs to deal with – traffic flow, safety, budget and blight. He feels he fought for the addition of a 4th ambulance for the city as well as an increase in the sheriff’s budget and cleaning up parks throughout the city. The first Chamber question dealt with accomplishments of currently elected persons and for the other candidates what makes them feel they were qualified for the office and what they hoped to accomplish. Candidates were given very short period of time to respond. 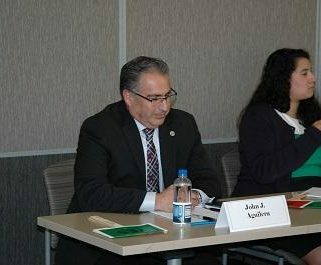 John Aguilera – pointed out Vista’s low crime rate, $10 million investment for the parks in Vista, sidewalk improvements, graffiti removal, skate parks, new app made available to contact city officials about graffiti. Corinna Contreras – Feels we need to be concerned with Quality of Life issues, feels she can connect with different peoples and groups. 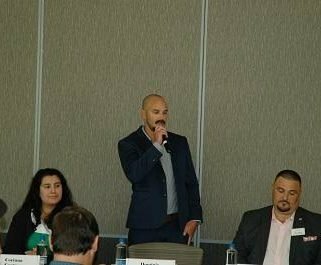 Dominic D’Agostini – has a business management degree from Cal State San Marcos, knows how to navigate the red tape of the construction world as well as the city requirements, brings a common sense approach to issues and says “I am Vista”. Joe Green – Communication is the key, also feels “I am Vista” as well, has operated a business in Vista for over 20 years, feels he makes decision to benefit Vista and wants to make Vista the “Best it Could Be”. Judy Ritter – prior to her time as Mayor, served on the Vista City Council and has served on numerous governmental committees. Feels she has supported the Vista City Plan of providing additional parks, skate parks and graffiti removal as well as the three phases the city is currently involved in to help with continued street and traffic flow development. 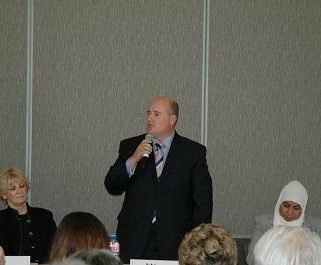 John Franklin – wants to continue the economic development of the city, served on the Vista Irrigation District before election to council. Wants to continue addition of bike lanes, reducing traffic congestion and crime reduction. Helped get the red light cameras removed and feels dealing with the marijuana business issues will be a major concern. Tazheen Nizam – feels open communication is a key issue, want to establish a Live-Work-Play model for the city. Wants more art work, art shops and restaurants in the city. Feels an important question is “What does it take to get people to come downtown” should be a continuing discussion for the city. 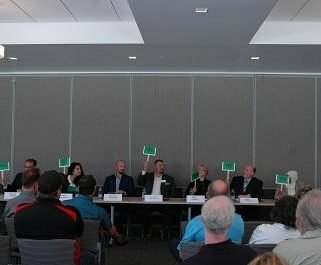 Part II will cover the additional questions the candidates responded to as well as information about the Yes-No statements the candidates had to react to. The marijuana issues and Propositions facing the voters in November will be part of the Part II article. Thanks for writing this article. Looking forward to the next part. I hope the candidates got more specific about their ideas, otherwise they pretty much sound the same.